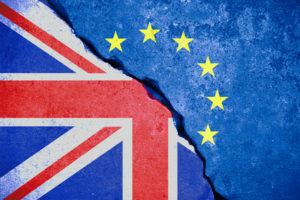 The subject of Britain’s potential “divorce bill” or “exit bill” for leaving the European Union has been a persistent theme ever since the UK began negotiating to leave the EU earlier this year. Quite apart from the technical questions surrounding what exactly the UK would be paying for and how the final amount ought to be calculated, there are important political questions concerning whether or not British voters really understand the ins and outs of this debate and why it matters, before we even get on to asking how much they would be willing to pay for Brexit. In an attempt to shed some light on these issues, a new piece of research has attempted to analyse how much various members of the electorate say they would be willing to pay in a potential “divorce settlement”, uncovering significant generational differences. What could this mean for Brexit? The so-called “divorce bill” is important because it is one of the key issues on which the European Commission has insisted there must be satisfactory progress during the first phase of the Brexit negotiations before the two parties can move on to holding more substantive talks about the future economic arrangements between the UK and the EU. Essentially, the EU’s position is that during its time as a member state the UK has committed itself to paying for various schemes and programmes which will continue after the UK is supposed to leave in March 2019. Therefore they maintain that the UK will have a duty to carry on fulfilling the obligations which it has already signed up to, even after it is no longer a member state. These commitments include such things as the UK’s scheduled contributions throughout the remainder of the EU’s current seven-year budget cycle, transfer payments to fund long-term infrastructure projects in the poorer EU member states of central and eastern Europe, and longer-term commitments such as paying for the pensions of EU civil servants who were employed by the organisation during the time that Britain was a member. The two most important considerations to bear in mind about the divorce bill are that, firstly, no-one really knows how much it is likely to come to. A range of figures has been bandied about in various publications which stretch from nothing to 100 billion euros (although the full amount is unlikely to all be paid in one go, as many of these liabilities will only crystallise over long periods of time). This uncertainty stems from the fact that there is not even an agreement between the two sides over how the full amount ought to be calculated, much less what it should ultimately be. The idea has circulated that the EU negotiators would like to agree on a formula for working out the full amount and then move on, so the final bill wouldn’t actually be calculated until much later in the negotiations, whereas the UK side is supposed to favour a political negotiation over the full amount rather than taking this technocratic approach. Secondly, it is still unclear whether from a strictly legal point of view the UK is really obliged to pay anything in order to leave; a House of Lords inquiry into the Brexit bill reached the conclusion that after March 2019 all EU laws will cease to be legally binding on the UK government, which they believed would make it impossible to order the UK to pay anything. However, they stressed – alongside many other commentators – that if the UK needs to maintain good relations with the EU in order to get access to the single market then simply refusing to pay anything is unlikely to be a viable approach. Indeed, it’s worth pointing out that Norway and Switzerland both have to make ongoing contributions to the EU budget in order to access the single market, which makes the idea of the UK being granted access for free seem implausible. The previous paragraphs provided a rough guide to what the Brexit bill debate is really about. However, there is very little evidence to suggest that a large share of the British electorate understands these nuances. One of the problems that is making the negotiations so complicated is that the British government is clearly worried it will be viewed as a betrayal by people who voted for Brexit if they appear to be handing over a huge sum of money just to get out of the EU. However, until now there has been very little research into what kind of Brexit bill voters might actually be willing to pay, or how they would negotiate the inevitable trade-off between what they are willing to pay and the strings which are likely to be attached to it. Participants were then invited to select from a list of amounts that lay between zero and £100 billion in increments of five billion, with the equivalent figure per UK household provided alongside each amount in brackets. Strikingly, the answer which the most people chose was zero (17%), followed by the 13% who gave the lowest possible answer which was greater than zero (five billion), while half of all respondents chose an amount lower than £20 billion. On this evidence, it seems fairly clear that the majority of the public is opposed to paying the kind of sums which have been suggested towards the higher end of the possible spectrum – although the great unknown is what effect they think it would have on Britain’s future relationship with Europe if their choice was applied. The researchers also disaggregated the findings by socio-demographic differences. Among other things, this revealed that younger respondents said they would be happy to pay a larger divorce bill than older ones did, on average. The average amount among people aged 18–24 was almost £35 billion, compared with only £25 billion among over-65s. This tallied with other findings, such as that people who said they were more Eurosceptic or who actually voted Leave were more likely to give lower figures, as young people were much more likely to be pro-European than their older counterparts. Although it is almost impossible to know what their deeper thoughts were when they were made these choices, this does tally with the finding from IF’s recent report into how Millennials voted during the referendum, Generation Remain: Understanding the Millennial Vote, as our analysis suggested that Millennials were much more concerned about the potential impact of Brexit on the economy than older voters. If they perceive a larger Brexit bill as a price worth paying for continued access to the single market then it would make sense for them to be willing to pay accordingly, even though it could potentially make them poorer in the short term. By contrast, there is also evidence to suggest that older voters are not only less willing to pay a large divorce bill, but are also much less concerned about retaining access to the single market than about reducing immigration. Clearly, this is just a single snapshot survey, of an extremely complicated issue which the public may, in all likelihood, not fully understand. It is also very uncertain whether the expressed preferences of the UK electorate will have all that much bearing on the nature of the Brexit deal which Britain eventually ends up with, given the complexity of elite-level political negotiations. However, it does suggest that younger voters would be more likely to tolerate paying a higher bill – or indeed any bill at all – than the average voter, which underscores the deep divides between old and young in the way they want Brexit to unfold.